Create a little tulip wow! Nothing can beat tulips for creating a riot of spring colour. Their sheer diversity offers gardeners a painter’s palette of colour, whether it’s the palest pastels or the richest jewel-like hues. 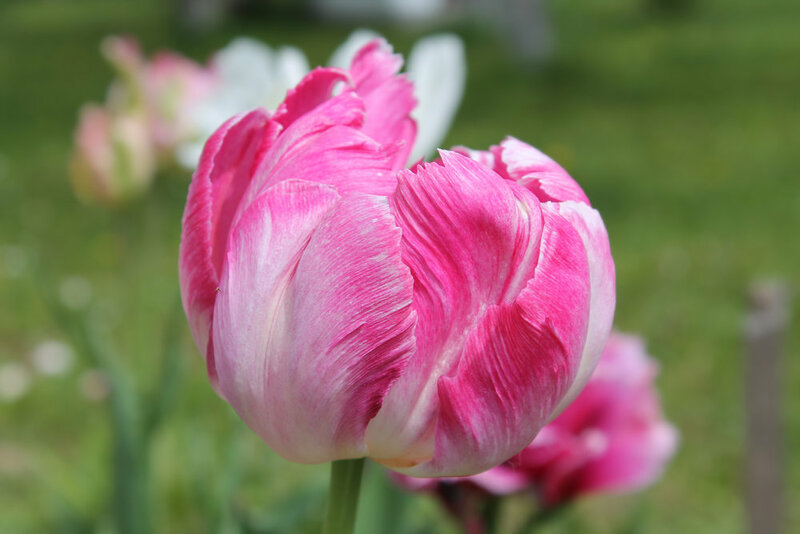 Then there’s the type of flower, from the simple beauty of single goblet-shaped blooms to flamboyant parrot varieties, softly-romantic peony-like doubles or elegant lily-flowered tulips. 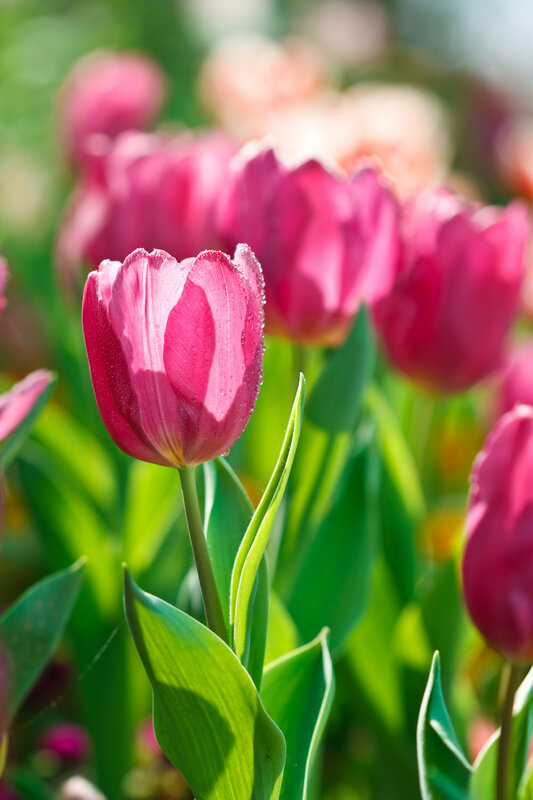 With so many options tulips are perfect for creating a whole host of different styles in your garden borders and containers. 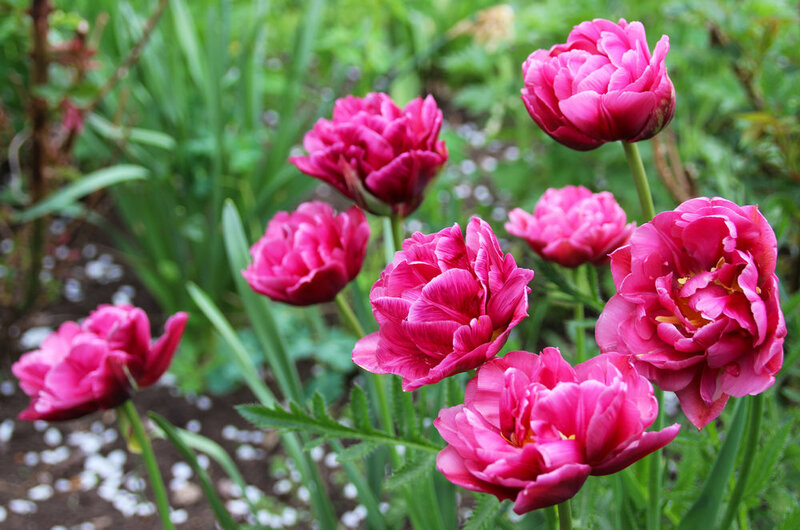 To create the biggest impact plant tulips in groups rather than dotting them about here and there, and in any one area focus on a limited palette of three or four colours which work well together to give your planting scheme coherence. If you’re daunted by the sheer choice then choose failsafe colour combinations such as the darkest of purples with pure whites or clashing orange tones. If you fancy something more subtle, go for viridifloras with their petals flashed with green mixed with ivories and whites. 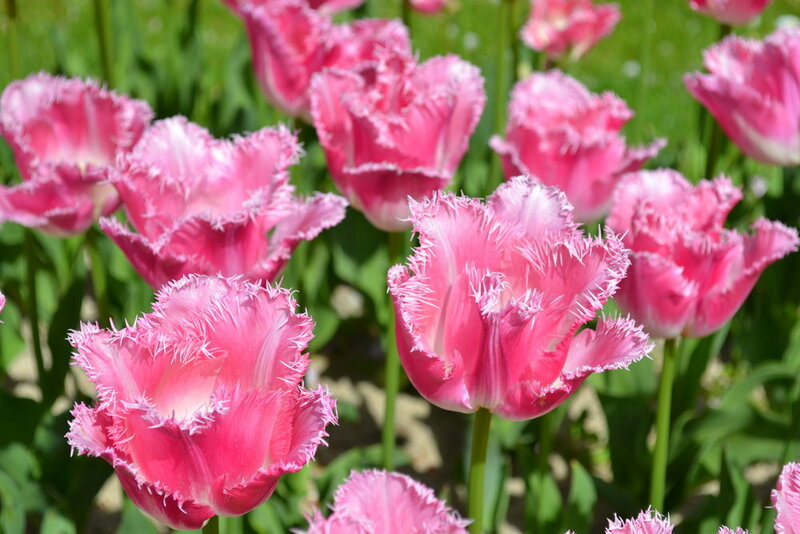 Tulips also make perfect partners for other spring performers such as other bulbs, the flowers of biennials, spring-blooming perennials and newly-emerging foliage. Or, use the wafty foliage of grasses and dependable evergreens alongside tulips. The key is to choose partner plants that will perform at the same time, then sit back and enjoy a truly exuberant April garden.